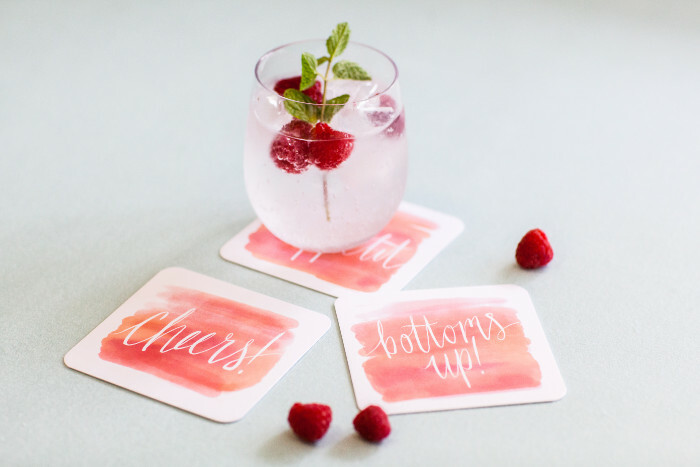 Slip a cheerful coaster underneath your guest’s beverage and you’ll instantly brighten their day. This set is ideal for a dinner party or a gift set. These coasters are digitally printed on double thick cotton stock to absorb moisture and protect your favorite tabletop. Pair them with our Cheers! 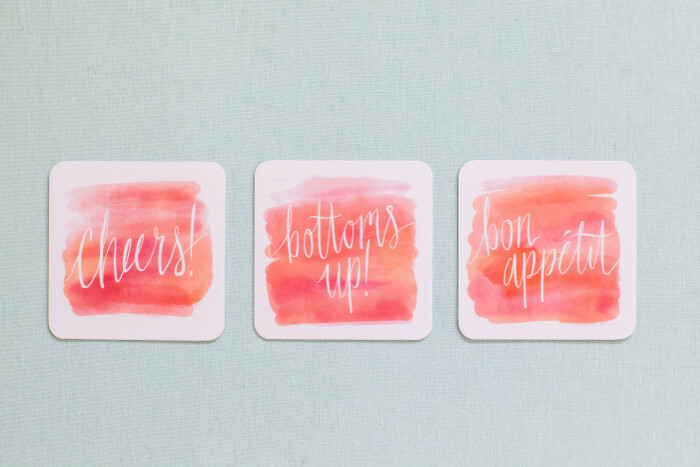 Watercolor Place Cards and Cheers! Watercolor Napkins and you’ve got yourself a party! Creative Tip: These little lovelies don’t have to be used only as coasters. Stick one on a cardholder stand and tray pass with drinks or appetizers!